NO. 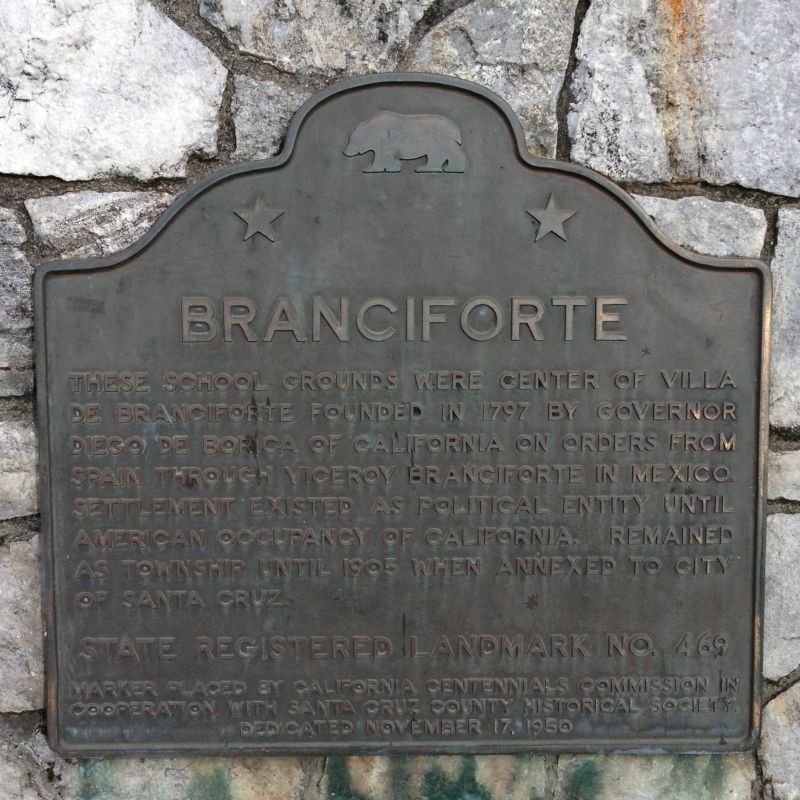 469 SITE OF CENTER OF VILLA DE BRANCIFORTE - These school grounds were the center of Villa de Branciforte, founded in 1797 by Governor Diego de Borica of California on orders from Spain through Viceroy Branciforte in Mexico. 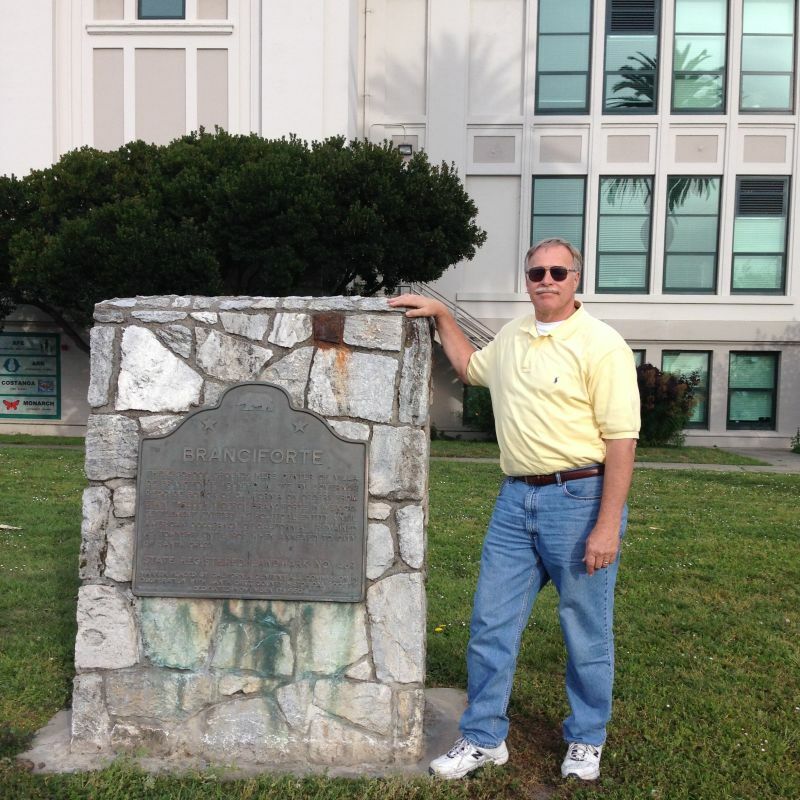 The settlement existed as a separate township until 1905, when it was annexed to the city of Santa Cruz. Villa de Branciforte Founded in 1797, Villa de Branciforte is a unique occurrence in Spanish Colonial history.